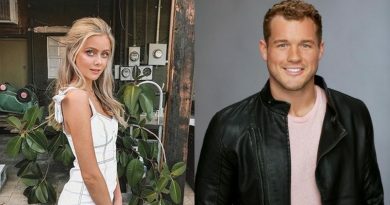 The Bachelor spoilers reveal Caelynn Miller-Keyes will tell Colton Underwood this week about her past as a sexual assault victim. The duo will share an intimate dinner after their one-on-one daytime date. Chris Harrison states their conversation will be very emotional. In fact, it’ll be the most revealing and personal discussion ever on the show. 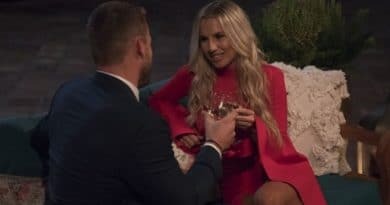 Colton Underwood will travel with The Bachelor contestants to Singapore this episode. In addition, Caelynn and Tayshia Adams will receive one-on-one dates, however Caelynn’s date will be the most shocking. The Bachelor will treat the former Miss North Carolina to a designer shopping spree. But the evening date will be the most remembered. Dinner will take place at Gardens by the Bay in Singapore. 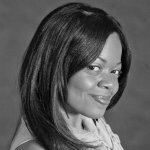 The beauty queen will share with Colton her experience as a casualty of sexual assault. This will be the first time Colton will hear her story. Understandably, the details will blow him away. Caelynn Miller-Keyes will reveal she and her girlfriends were assaulted at a college party. Sadly, her drink was laced with a drug that made her vulnerable. She woke up naked the next morning with her friends with no recollection of what happened. However, she concluded she was a victim of sexual assault for obvious reasons. The Bachelor spoilers show Caelynn’s revelation will leave Colton shell shocked. As a result, he will tell her she’s incredibly strong. Caelynn will reveal she feels absolutely safe with Colton. Admittedly, she’s never experienced such a deep connection with another person before. Caelynn’s willingness to open up will encourage Colton to do the same. Viewers will learn more about The Bachelor’s past relationships, and why he’s chosen his particular path. In an interview with Extra, Chris Harrison stated he believes this convo will definitely change everyone’s opinion of him. As evidenced by previous episodes, Colton and Caelynn have certainly bonded. The Bachelor kissed the former pageant queen on night one. He’s been smitten ever since. She’s also developed strong feelings for him. Amazingly, they’ve already established a pretty solid relationship on the show. Nearly every episode, Colton Underwood ensures he spends private time with her. The Bachelor also ensures her she’s a forerunner on the show. Despite her confrontation with Hannah Brown, the ex-NFL player doesn’t allow their drama to change his feelings. 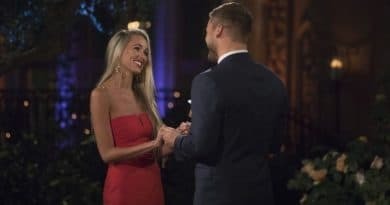 The Bachelor Spoilers: Will Caelynn Miller-Keyes Receive a Final Rose? The Bachelor spoilers have learned Caelynn Miller-Keyes will make the final four cut. However, she isn’t the last woman standing. After traveling to Virginia for hometown dates, Colton Underwood will eliminate Caelynn and send her home. Unfortunately, The Bachelor will develop stronger bonds with other women. The remaining three main women will be Tayshia Adams, Cassie Randolph, and Hannah Godwin. We’ll see how it all happens very soon! Stay tuned to ABC on Monday nights at 8/7pm central to watch The Bachelor! This season will certainly be a thrill ride! Soap Dirt is the number one choice for ABC’s The Bachelor spoilers, updates and news. Check back daily.